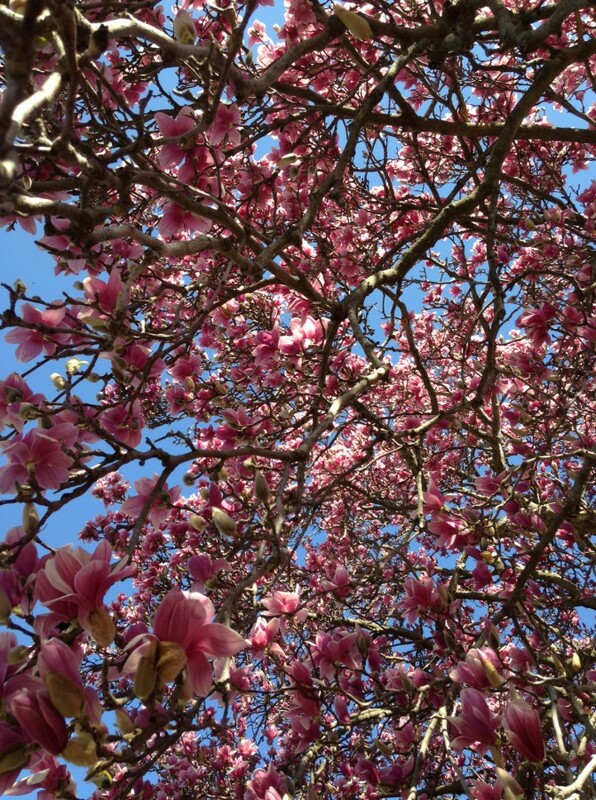 Our neighbors have an enormous, gorgeous MAGNOLIA (not a dogwood) tree that is in full bloom. It hangs over the fence onto our property, and I spent some long minutes beneath it yesterday, gazing up into the bounty of blossoms. I felt completely, 100% present.